Enjoy a hearty snack when you are fasting, in the form of our Sabudana Khichdi Chiwdas. The rich flavours are just irresistible, along with the healthy sabudana base. We understand that carrying sabudana khichdi can be a mess. But in the form of this namkeen you will have the same taste minus the headache, especially while travelling. Upwas Sabudana Khichdi	NK-CD-1566 Enjoy a hearty snack when you are fasting, in the form of our Sabudana Khichdi Chiwdas. The rich flavours are just irresistible, along with the healthy sabudana base. We understand that carrying sabudana khichdi can be a mess. But in the form of this namkeen you will have the same taste minus the headache, especially while travelling. The shelf life of Upwas Sabudana Khichdi is 60 days. 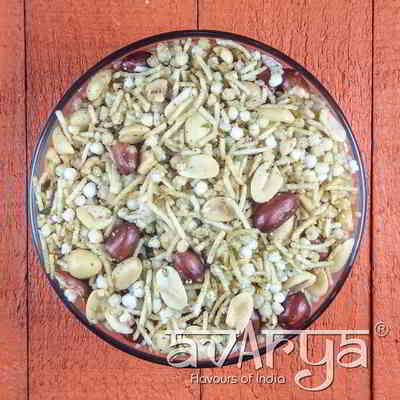 Add a burst of delectability and fun to your day with Avarya's Diet Namkeen. It consists of low calorie basmati rice along with other ingredients that give a touch of spice and some crunchy munching. 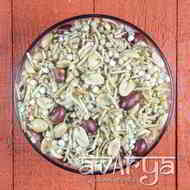 Chivda is a healthy tea time snack and with Avarya's low calorie chivda, you can stop worrying about the extra kilos.